A woman can never have to many bags or shoes, right? and now only a couple weeks later I've found another perfect bag to add to my collection. 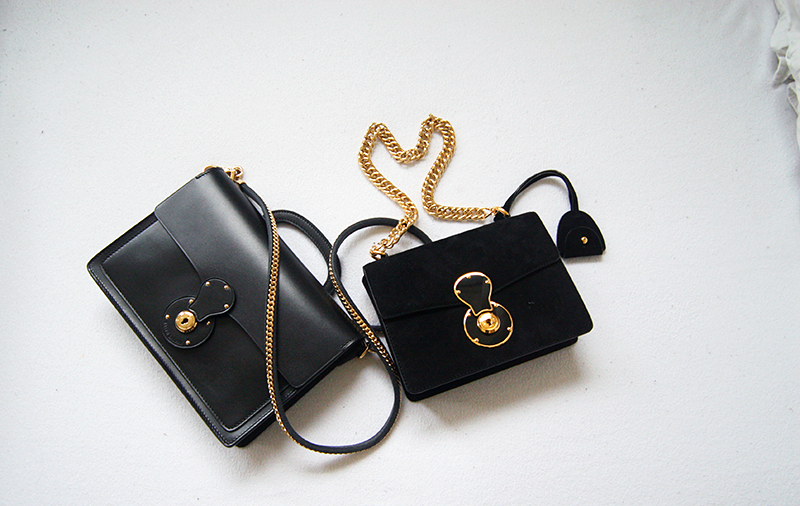 Ralph Lauren Chain-Strap Horseshoe bag & Ralph Lauren black suede Ricky Chain bag.